In spite of language, in spite of intelligence and intuition and sympathy, one can never really communicate anything to anybody. The essential substance of every thought and feeling remains incommunicable, locked up in the impenetrable strong-room of the individual soul and body. Our life is a sentence of perpetual solitary confinement. All writers feel that way. Some of us manage to communicate reasonably articulately, especially if they are good photographers! 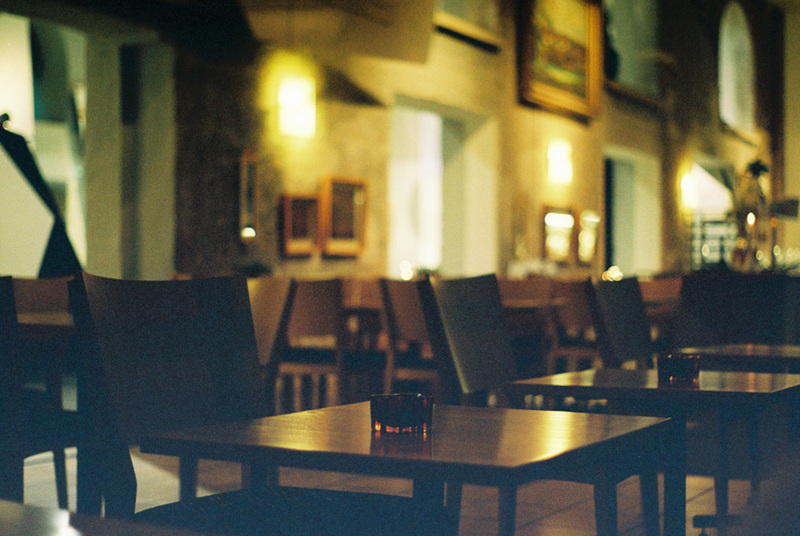 This pic has a sense of solitude about it that could indicate opening and/or closing times. I like it.